I wrapped and folded this long dress around a dowel rod and soaked the dress in soda ash and salt. 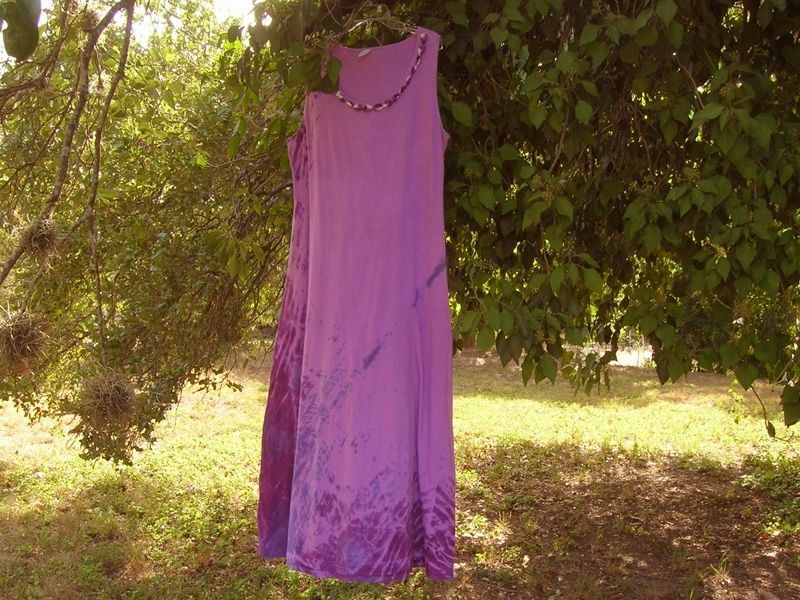 I then squeezed fabric dye in certain places on the wrapped garment. 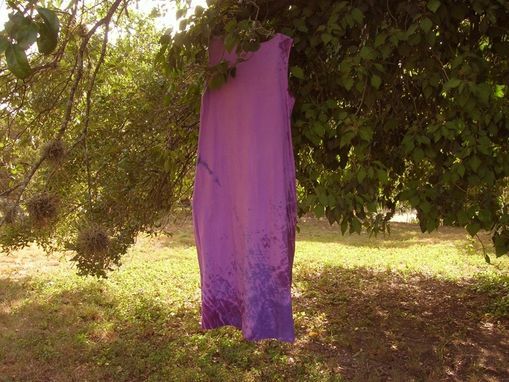 When untied I decided after the dress dried to dye the whole garment in a solid lighter lavender. I crocheted the circles and sewed them as an embellishment to the neckline of the dress. 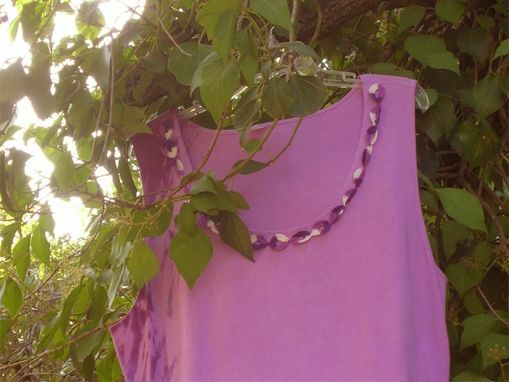 This is a white cotton clothing blank from Dharma Trading Company that is made in the USA.